...and no sign of bébé. Saturday has come and gone, and with it, so has baby's due date. We knew from the get-go that we could go a couple of weeks past her due date before getting to meet our babe, but now that we're so close, that's proving to be a much harder pill to swallow. 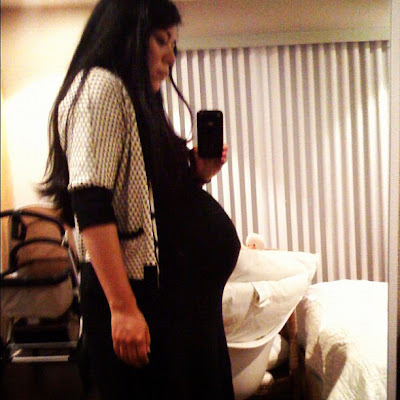 I am definitely not a patient mama, and I'm hoping I won't have to wait much longer to meet and hold my little girl. Fingers crossed she'll be here soon.